We can all agree that Legos are the best ever. But when it’s time to put them away… Yeah, not so much fun. There are the boring options — plastic boxes and bins, toy trunks. And then there are the awesome options that allow you to show off your masterpieces for all to admire/be jealous of. 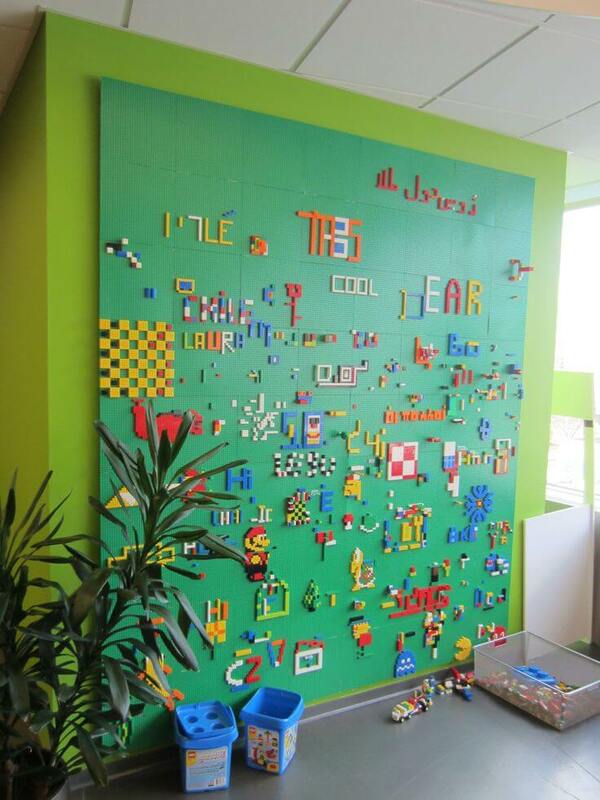 Check out some of our favorite ideas for displaying Legos in your home. Visit Monsieur Recup for instructions on how to make this! 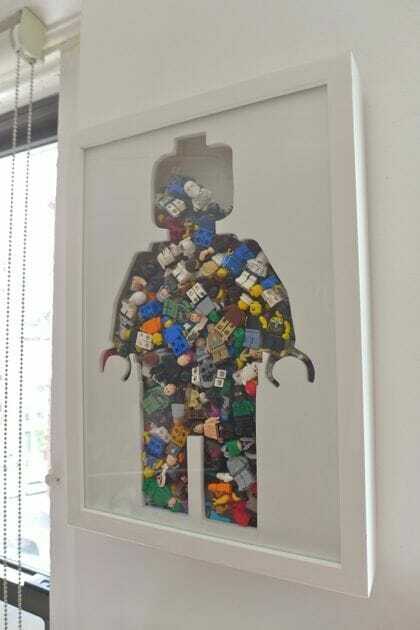 We love this creative way to frame spare Lego pieces and Minifigs. 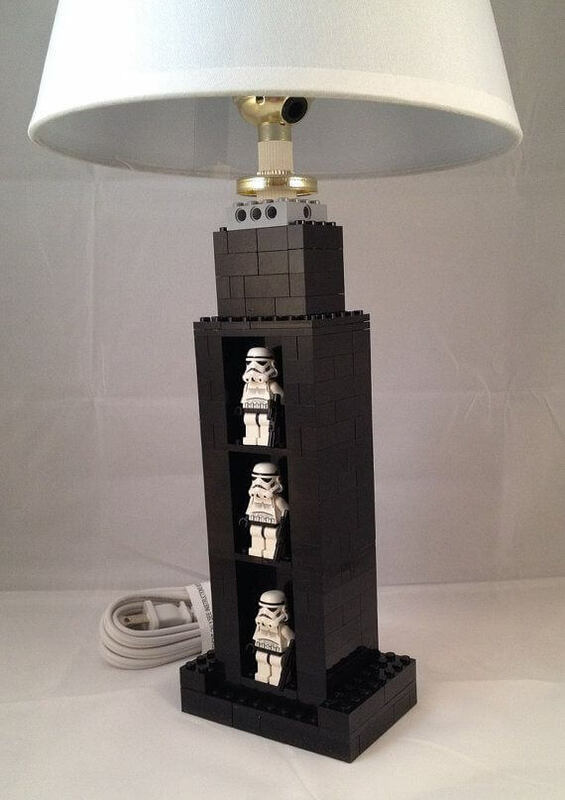 Etsy user BrickABlocks makes these fantastic Minifig display lamps constructed using actual Lego bricks. Legos share the stage with the TV in this great idea from Design Guild Homes. We love how modern and clean this looks, plus it’s affordable. The Besta system at Ikea is easily customized, so you’ll be able to pick a combination that fits your space. Displaying your collection on the entertainment system works great here, as there’s plenty of space in the cabinets and drawers for video game systems, board games, and your trusty Laser Disc player. We love City Bee Studio’s repurposed printer’s tray. It’s the perfect way to display Lego Minifigs. Give your Minifigs their own special spot by repurposing a printer’s tray and mounting it to a wall. This genius idea from City Bee Studio would be perfect in a kid’s room, or really just about anywhere you’d like to add an element of vintage charm. We like how this one was used untouched, but we could also see someone painting the tray a glossy white to make the Minifigs stand out more against the background. Fun DIY Lego display shelves from Jedi Craft Girl. Amanda, also known as Jedi Craft Girl, took matters into her own hands and came up with this terrific solution. We like how the shelves only stick out enough to house the Minifigs, and they could probably be extended a bit to display bigger creations. 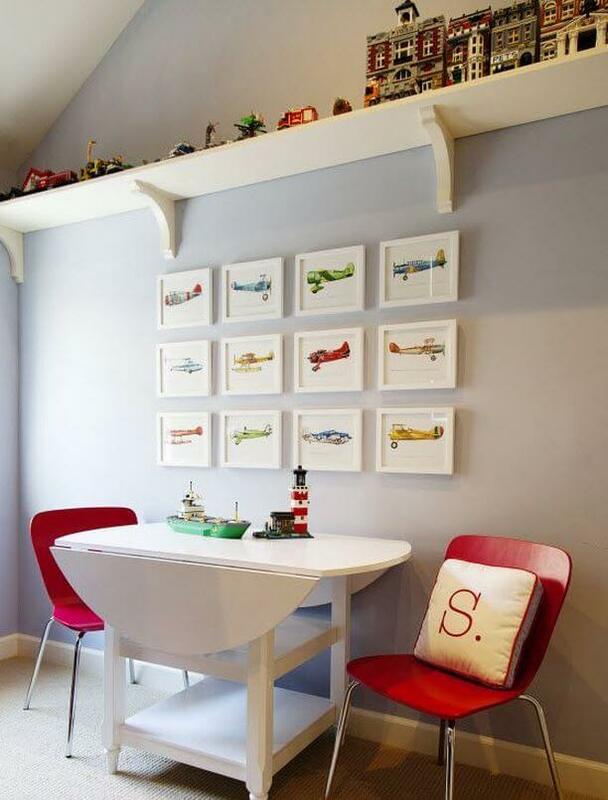 Painting the shelves the same color as the wall they’re mounted on is also a cool idea. Check out Amanda’s instructions to find out how to do this in your own home. Go big! Turn a blank wall into what’s essentially a 3-D mural that can be changed whenever somebody’s feeling creative. This photo is actually from a preschool, but we don’t see why it wouldn’t work in a home. All that’s required here is a galvanized steel pegboard and magnetic shelves. 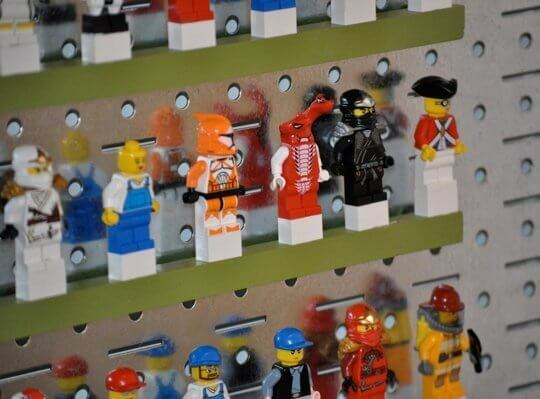 Since it’s pegboard, you can easily move around the shelves and add more Lego guys as your collection grows. Especially if you’re short on space, a high shelf like the one in this boys’ bedroom is a great idea for proudly displaying your finished projects.